Charlie, a struggling DJ and eternal bachelor is given a final chance at success when he reluctantly becomes a nanny to his famous best friend's problem-child daughter. We watched the first few episodes last night, even though we totally cannot relate to what the show calls a DJ, or what they refer to as music. The characters are real and relatable (not a word, is it?) and funny. The show itself is entertaining. The precocious Gabs is very good. The scenes move, and even though we don't know a lot of the references, the people remain human, and that is what makes this work. I knew we wanted to see this just because of Mr. Elba, and we were so happily surprised to see him do something so light, so well. Piper Perabo was a pleasant surprise, especially for my wife, who really liked "Covert Affairs." We will finish binging the rest of this first season ASAP, and hope for more. 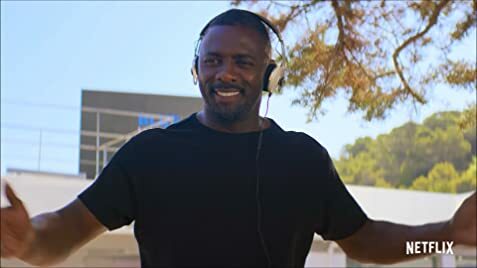 Idris Elba is a professional D.J in real life.